To be honest, I was surprised to find profound things on her instagram. Most people use it for random personal pictures. 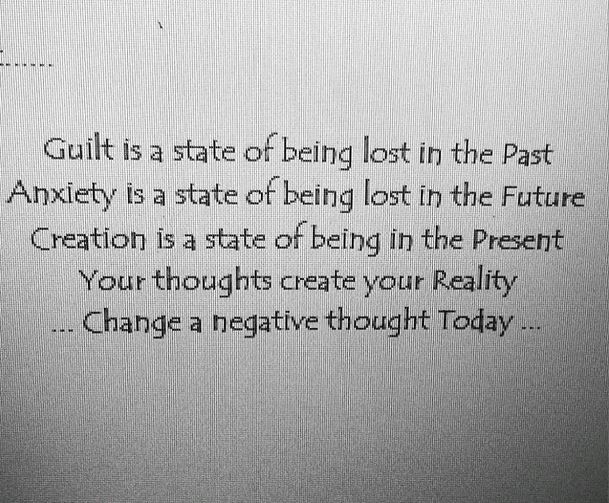 The sentiment resonates with me because along with fear (anxiety), my life is dominated by guilt. This entry was posted in Anxiety, Geeky Tags, Legend of the Seeker and tagged anxiety, Bridget Regan, cara mason, changing negative thoughts, Dhoom 3, guilt, legend of the seeker, LotS, mord'sith, mord-sith, Sword of Truth, Tabrett Bethell, Tabrett Bethell Wisdom, The Sword of Truth by Masochist Musings. Bookmark the permalink.